That month seemed to fly by, hard to believe the June bank holiday is now over. 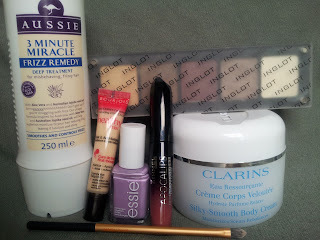 So below I have included some of my favourite products from the month of May. I have only recently discovered essie nail varnish, but I am already in love. With a base coat and top coat, it lasted 5 days entirely chip free and it is a great summer pastel shade. While I know Apocalips lip lacquer's abilities have been well documented, I am really loving the shade Celestial this month. Unlike my Big Bang and Apocaliptic shades, I can wear this as an everyday colour. It brings some colour to my face for the somewhat sunnier weather we've been experiencing. Which brings to my other face favourite this month, the Bourjois Healthy Mix Concealer. I use this product in conjunction with my Real Techniques Detailer brush. I find a little really goes a long way and the detailer brush is perfect for allowing me complete control over how much product I use and allows me to blend beautifully. I have never owned a detailer brush, before now I always used my finger. However if you are someone who suffers from blemishes like myself, I would definitely recommend the investment. In terms of eye shadow I am really enjoying my Inglot pallete which I received as a gift from a friend for my birthday. I am particularly liking the first two shades, gold and brown, for two toned eyes (you can tell by the packaging it is well loved). Then moving on from make up, my favourite hair care product this month is Aussie 3 minute miracle, the frizz remedy. I don't use this product every day (as it is quite pricey for its size), rather I use it as a treat for my hair at weekends. I do I feel it has helped soften my hair, especially since it is blonde, I may try the Reconstructor variety next. 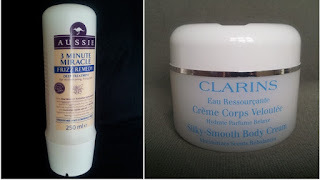 The last product to feature in my May favourites, is a skincare product from Clarins. I also received this a gift, but have only recently begun using it regularly. It is there Silky-Smooth body cream. Just as the name suggests it leaves your skin feeling silky smooth. I love how it glides onto the skin and doesn't leave an oily/sticky feel afterwards. It is especially great for dry spots around the elbows and knees! Do you use any of these products, how are you finding them? 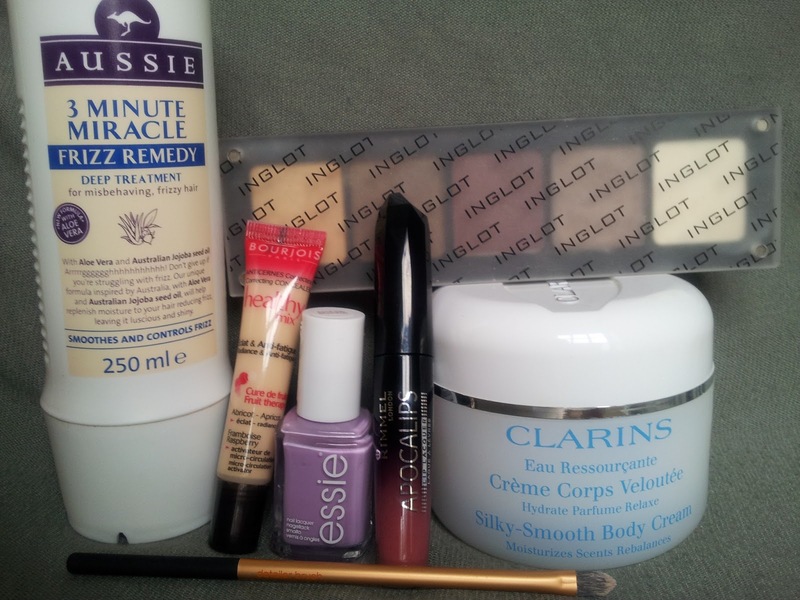 What have been your favourite products from May 2013? Yes I would definitely recommend them, they last forever, I have it in three shades!